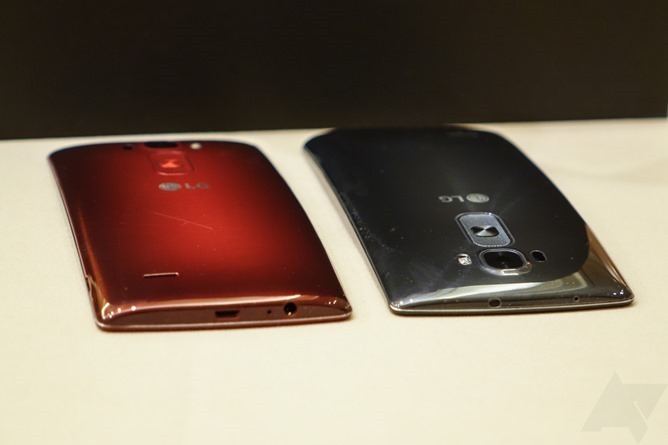 [CES 2015] Hands-On With The LG G Flex 2 - Faster, Better, And... Smaller? 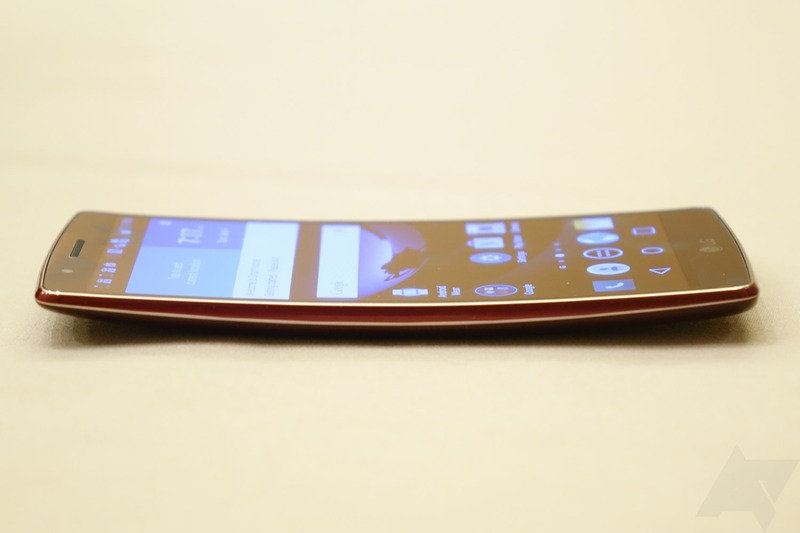 LG's just announced the G Flex 2 here at CES, and we had a chance to go hands-on with the company's next curvy smartphone. First, though, let's get the technical bits out in front. 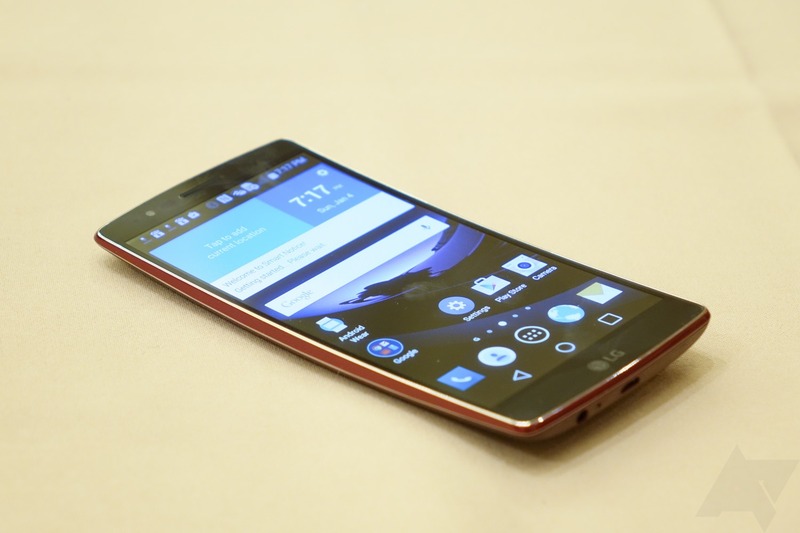 The G Flex 2 is one of the first officially announced phones from a major manufacturer to have a Snapdragon 810 processor, an octa-core chip in ARM's BIG.little arrangement, with 4 high-power cores offering speed when you need it, and four lower-power cores suited for standby tasks and other low-overhead operations. What's interesting about this chip is that it's something of a steppingstone - instead of using a proprietary Qualcomm CPU core, it's using an ARM reference design. There's been speculation that Qualcomm is pushing these 64-bit ARMv8 chips in order to appease marketers eager to advertise 64-bit devices (read: beat Apple), and that the next generation of Qualcomm cores may yet be a ways off. Still, this chip is an on-paper speed demon. 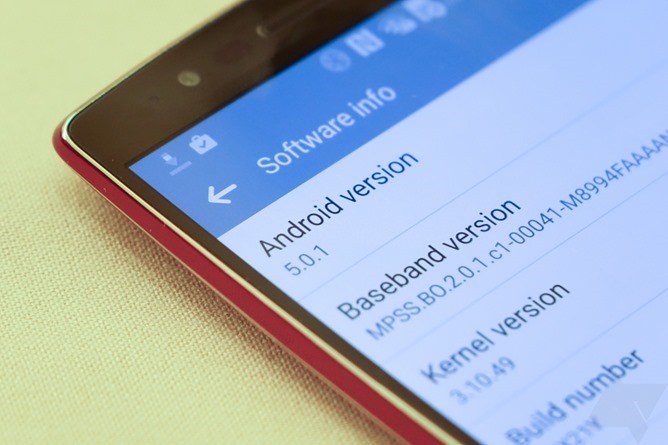 LG's 810 appears clocked at 2.0GHz, which doesn't sound high, but the ARMv8 instruction set should provide substantial performance increases in certain areas like encryption. 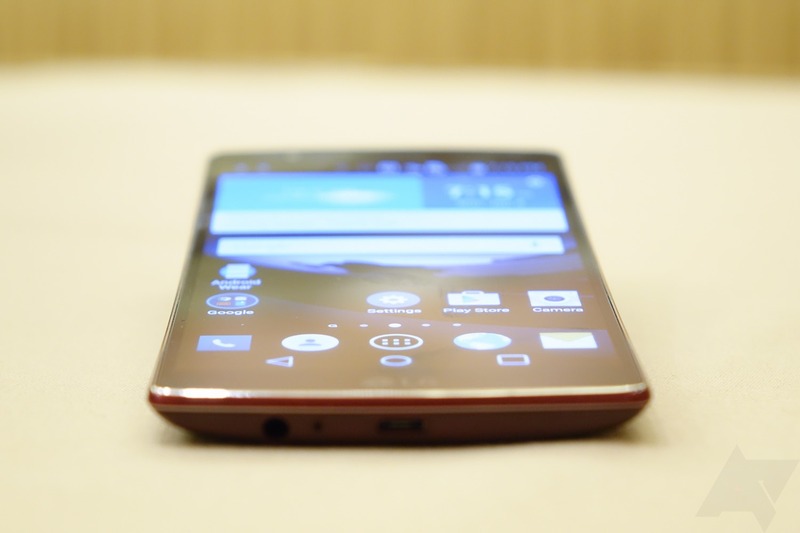 Aside from the processor, the G Flex 2 has an Adreno 430 GPU. That may not seem a huge jump over the Adrena 420 in the Snapdragon 805, don't let the modest numerical disparity fool you - this is the first truly high-end Adreno 400 series GPU Qualcomm has released. With a staggering 288 shader cores (versus just 128 on the 805's Adreno 420, and 256 on NVIDIA's just-announced Tegra X1), the Adreno 430 supports native 4K encode (capture) and decode, including with external displays. Like the 810's CPU, the Adreno 430 is also fabricated using a 20nm process, making it more efficient. The 810 also provides more LTE speed, at up to 300Mbps with carrier aggregation. I'll say that while the G Flex 2 seemed perfectly quick in the time I had with it, it by no means blew me away from a performance perspective. Granted, these phones were running very early software, so it's not really prudent to cast judgment on it from that perspective at this point. It didn't seem slow by any means, so that much I can attest to. 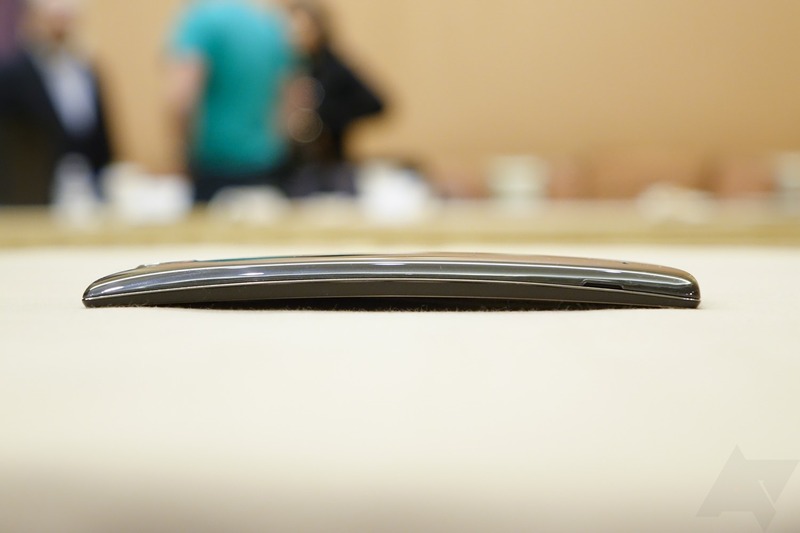 The display on the G Flex 2 is, quite surprisingly, smaller than the original G Flex, at 5.5". That's a reduction of half an inch - something I never though I'd see from a smartphone manufacturer in a world of ever-growing devices. 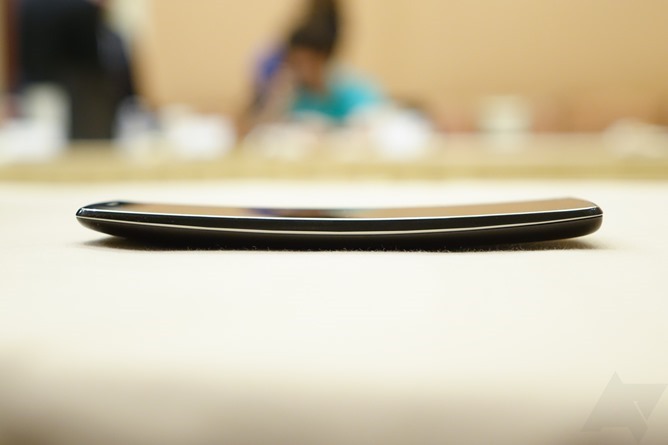 Still, it's nice to see LG is listening to consumer and other critical feedback - I did find the original G Flex to be a bit on the large side. The resolution has seen a bump to 1080p, and as far as my eyes could tell, the "noisy" cardboard-like quality to the display seems greatly diminished, if not entirely eliminated. I did notice that on the engineering units we were allowed to use that the brightness didn't actually appear to change below 30% or so on the slider. This comes off slightly suspicious to me, because the original G Flex's display noise was by far most prominent at low brightness levels. It may simply have been a bug on these early units, though - I cannot say with any certainty. The display news doesn't end there, though, as LG has somehow managed to improve on the scratch and shock resistance of Corning's Gorilla Glass 3 with its own chemical treatment process. 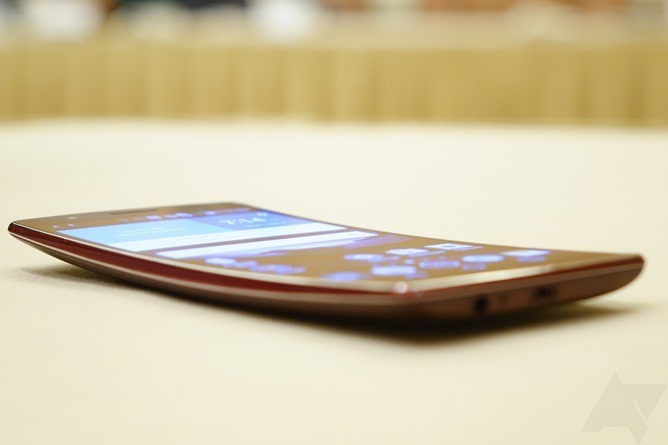 LG claims the G Flex 2's glass should be around 20% more resistant to shock and scratches than normal Gorilla Glass 3, and I can only assume that this is achieved through a blend of witchcraft and mad science. 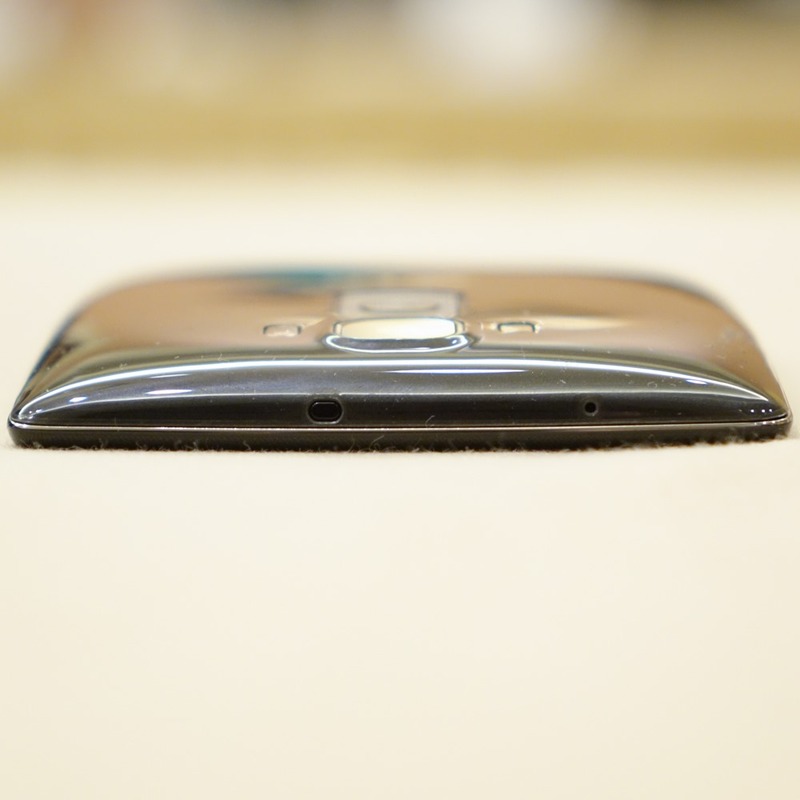 The self-healing back saw an update, too, and now heals in most temperatures within 3 seconds of being scratched, rather than the 1-2 minutes on the previous phone. I tested it with a butter knife (LG encouraged us!) and accidentally cut through the coating down to the hard plastic. That scratch, understandably, did not heal. Getting back to the size, the reduced dimensions of the G Flex 2 make it much easier to hold, I would place it well-within my phone size comfort zone, especially with its narrow vertical bezels. It really is nice to see a phone that shrinks instead of grows year over year, and I personally think 5.5" is just around my personal "sweet spot" for a smartphone. The curvature of the G Flex 2 also makes it a bit easier to handle than a traditional flat phone, in my opinion. 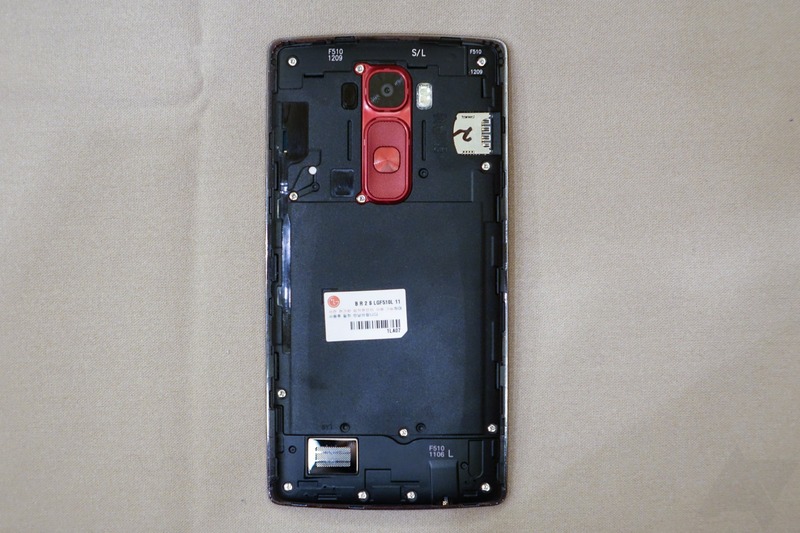 Rounding off the hardware specs, we've got a 3000mAh [non-removable] battery, 13MP camera (same sensor as the G3) with laser auto-focus, OIS+, and dual-flash. 2GB or 3GB of RAM will be found in the G Flex 2 depending on whether you opt for the 16GB or 32GB model, though LG has generally not sold 16GB models of its high-end devices in the US in recent years. The camera should come as great news, as the one on the G3 has generally been a consumer favorite, in spite of its aggressive noise reduction in low light, and I have to agree - LG's laser auto-focus seems almost unbeatable. Getting to the software, the G Flex 2 runs Android 5.0.1, and a mildly refreshed version of LG's software layer sits atop it. Quick controls in the notification bar are still present, as are most of the visual and functional flourishes found on LG's previous phones like the G3. One feature I would have liked to have a bit more time with is the new Quick Glance, which allows you to simply pull down from the top of the display while it's off to see the time along with your notification bar. 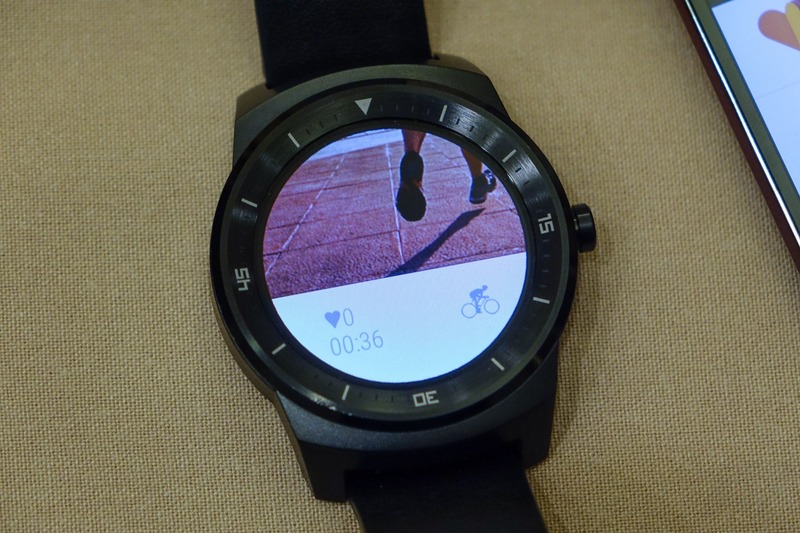 I can't say this seems as convenient as ambient / active display, but I can see the appeal nonetheless. 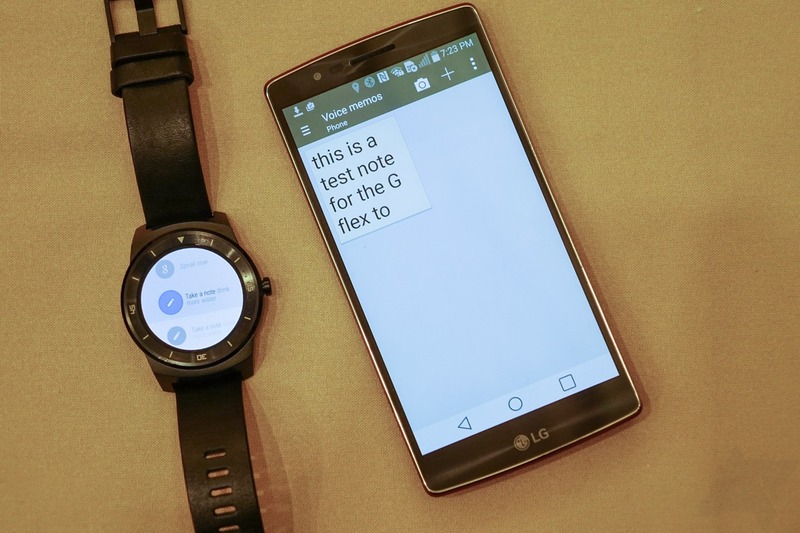 One interesting thing LG announced about the Flex 2's software was in regard to Android Wear. The G Flex 2 will add Wear mini-apps for a number of LG system apps, though we were not provided a full list or really even many example functions. 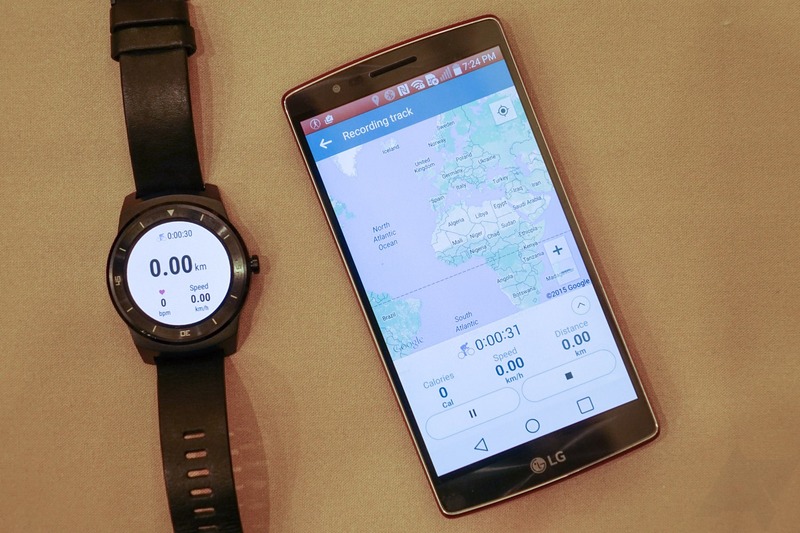 Still, after pairing the engineering unit with my G Watch R, I found three options for voice commands in Wear using LG apps - start a run, start a bike ride, and take a note (in QNote+). This makes LG the first Android OEM, to my knowledge, to start building Wear support into its own system applications. Whether this will be a welcome new trend or simply another way to push bloat, though, probably comes down to personal opinion. So, when can you get a Flex 2 of your very own? We don't know! LG isn't announcing pricing or availability at CES, though we got an assurance that we'll be seeing some time in the first half of the year, though based on what we heard, LG is definitely shooting for sooner rather than later in that window. As to cost, expect to pay a "premium" over a device like the G3, but LG wasn't getting any more specific than that. Oh, and it comes in silver and flamenco red.